Allen & Heath has had an interesting time of late. The Cornwall-based music technology company, best known to DJs for their superb analogue Xone mixer range, has seemingly struggled to get a foothold in modern DJ tech. 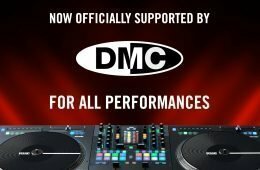 The launch of the DB range back in 2010 certainly wowed users with their ‘digital-first’ workflow, but the mixers ended up competing against Pioneer’s ubiquitous DJM mixers. The refreshed Xone range that followed showed promise, but when I reviewed the 43C just over a year ago, I felt it was missing something. It’s 2017 now, and we finally got our hands on Allen & Heath’s brand new Xone:PX5 4+1 hybrid club mixer. 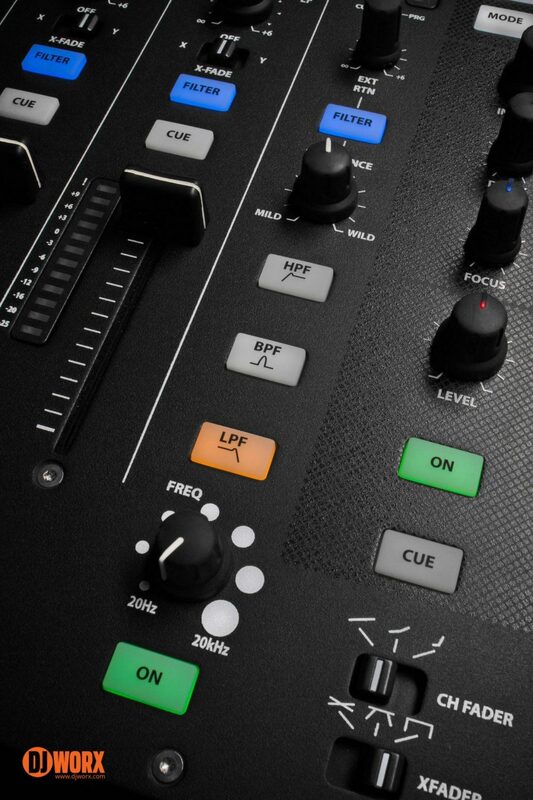 I say “hybrid” because while the mixer might have a digital brain, the company admits the PX5 has an “analogue soul”. The unit was designed as a proper analogue club mixer with some powerful routing choices to a built-in USB audio interface. A powerful four-plus-one stereo channel club mixer with 10-in/10-out USB audio interface, built-in digital effects unit, send/return. Oh, and there’s also one of those legendary Xone filters, of course. Taking the mixer out of the box, I kept an eye out for whether the look has moved on from previous designs, which I felt struggled to stand out in darker environments, when I reviewed it. The contrast between markings and the black faceplate seem much improved, and gone are the terra-cotta orange details on the 43C. I have to admit I do really quite like the way Allen & Heath have designed the faceplate. Especially after some use of it (see the ‘In use’ section). This thing has exactly the same footprint as the Xone:62, though it’s shallower, matching the standard height of a turntable. The rounded corners are user-friendly, so it’s easier to be around this thing without catching sharp metal on your clothes or your gig bag (lookin’ at you, trusty Xone:62). Something that’s new to the analogue mixers in the Xone range is the addition of the XONE:FX engine. The section has a screen, some controls and features 16 built-in digital audio effects that can be routed to any channel via the FX ASSIGN rotary switch. On top of that, the PX5 continues the Xone legacy of the channel-assignable analogue filter. The controls have plenty of air around them, even with the space taken by the effects section. At first glance, you’ll notice they each have a FX SEND knob, but you can also see a three-step switch just above that lets you toggle between sending internal or external effects, or both. It’s pretty clear that Allen & Heath want this to be a super-flexible, club-friendly mixer. As you’d expect from Allen & Heath, the PX5 feels very solidly built, with great-feeling components and a well thought out layout. There are no huge surprises if you’ve experienced premium club mixers before, but this is certainly an exciting departure for the Xone range: fusing the best of what they’ve done while cherry picking some successful features from the competition. The headphone controls are pretty standard, with a volume knob as well as CUE/MIX. There’s also a recessed switch to toggle split-cue, if you need it. This is a particularly useful feature if you’re stuck somewhere with unbearable delay to the PA and no booth monitoring. Both 6.35mm and 3.5mm headphone jacks are available, so there’s no need to panic while hunting down an adapter. It’s all pretty standard stuff. Each channel has a 3-band EQ, a filter toggle button, and FX send knob. The volume sliders on channels 1 to 4 are long-throw 60mm faders, with a great smooth action, and clearly designed for the long, precise blends of house and techno. In fact, all the controls on the unit feel great. As you’d expect, there’s no wobble to the components, and their action feels buttery, but with enough resistance to make them substantial. There’s the standard 45mm crossfader with x-fade assign switches for every channel, including the AUX channel. And, yes… there’s an Innofader that can replace the factory part. It needs to be highlighted that the while the AUX channel has trim control, there’s no way to adjust the overall volume of the channel. The gain knob does go down to infinity, meaning it’s a kill, but coupled with the lack of audio clip indicator, it’s very difficult to effectively use it as an extra DJing channel. It’s much more for an extra line-level source or microphone. You’ll find the built-in effects section taking up the whole width of the far right of the unit, bar the two fader curve controls. The small TFT screen has a simple menu system to tell you what’s going on with your effects and MIDI, along with multicoloured buttons for different settings. To the left of that is the filter section, along with output controls and monitoring. The lights and buttons, including the digital screen, are nice and bright, with little light leaking between them. The level meter LED strips are 12 step segmented lights, as you get on the other recent Xone mixers, but it seems like a totally new design. The LEDs are horizontal lines rather than the vertical ones on the 43C, or the round bulbs on the DB4 and 92. All the issues I had with the 43C’s level meters appear to have been fixed. There’s no annoying bleed between levels, and each light is clear in its own right, meaning no ambiguity on where your volume is peaking. Something to note about the PX5 is that it only has one audio interface. There’s always going to be debate about how essential it is for a club mixer to two, but unless there’s wide adoption of a brand in club installs, it’s more about personal needs, and the reality is that this mixer will more likely be found in a gig bag or bedroom than down at the local Roxy club. There really aren’t that many scenarios where the average DJ would find themselves wishing for a second interface for outputting sound (I have no doubt you’ll point some out in the comments, though). Allen & Heath setting their sights on Pioneer’s flagships doesn’t mean wholesale mimicry. The mixer also features MIDI controls. Not everything on the faceplate can be mapped, but with 39 buttons and switches, all five faders, and seven rotary controls, there’s some flexibility. I actually discovered this by accident, when I’d plugged in my Push, launched Ableton and a drum sample started playing when I pressed a button. There’s the usual RCA inputs for LINE and PHONO on the main channels, along with MIC XLR and 6.35mm TS stereo pair on the AUX. The mixer has X:LINK to daisy chain other Xone controllers such as the K1 or K2, and a USB A/B socket. The MIDI DIN connector can work as either input or output, but the mixer is designed to be the hub for your setup, with a powerful MIDI clock and effects system. It’s a bit disappointing, then, that there aren’t any extra USB ports so the mixer can act as a hub for other gear. Being able to plug in Aira synths and have them run to the mixer’s clock would be very handy. The PX5 offers plenty of options with regards to outputs. There’s both XLR and RCA outputs for the master, and a pair of 6.35mm TS jacks for the booth out. The RECORD OUT is an RCA stereo connector, but a word of caution: like many mixer record outputs, the PX5 runs a very hot signal, meaning many digital recording devices will struggle to reduce volume enough to prevent clipping. I came across this issue with a newly purchased Tascam DR-05. But (as I discovered too late for NYE while reading the manual), you can set up the audio interface to record mixes back into Traktor using a switch on the back of the mixer. Always read the manual, folks! As I’ve mentioned earlier, Allen & Heath have pulled no punches when it comes to the effects routing options. The PX5 can apply effects from both external units like the Pioneer DJ RMX and EFX boxes, or using the internal XONE:FX. With the internal effects, there’s further routing options for either SEND/RETURN or via channel/master INSERT. As you can see from the Allen & Heath’s demos, the effects are all a bit similar, with various delays and reverbs. This tends to be a problem across the industry when it comes to software and hardware with effects. Korg is particularly guilty of this with their Kaoss units. Allen & Heath put these down as “DJ performance”, but they’re a bit of a departure from Pioneer DJ’s instant gratification effects you can use for build-ups. While I might not find all the effects useful, the tape delay does sound nice, as does adding a tiny bit of distortion. The addition of things like the flanger give you some great workhorse effects as well, especially coupled with the filter. Editor’s Note: After sending the A&H the review for fact checking, they had a couple of points that they wanted to address, the first being our opinion of the effects. 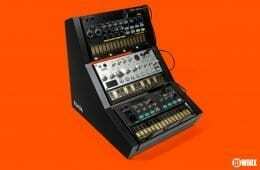 The overall response from A&H is that while they have a large range of hand-crafted effects that could have made it into the PX5, but they focussed them to more DJ oriented ones, and have delivered carefully selected high quality variants of familiar favourites, rather than a heap of effects that will never get used. There are four knobs that control various parameters of the effects: INTERVAL, DECAY, FOCUS, and LEVEL. These knobs change colour depending on what is happening with the parameter. For example, the level control knob will glow red if you’re using send/return effects, and cyan (blue) with insert. It’s a handy little bit of extra help in keeping track of what’s going on with your hardware. 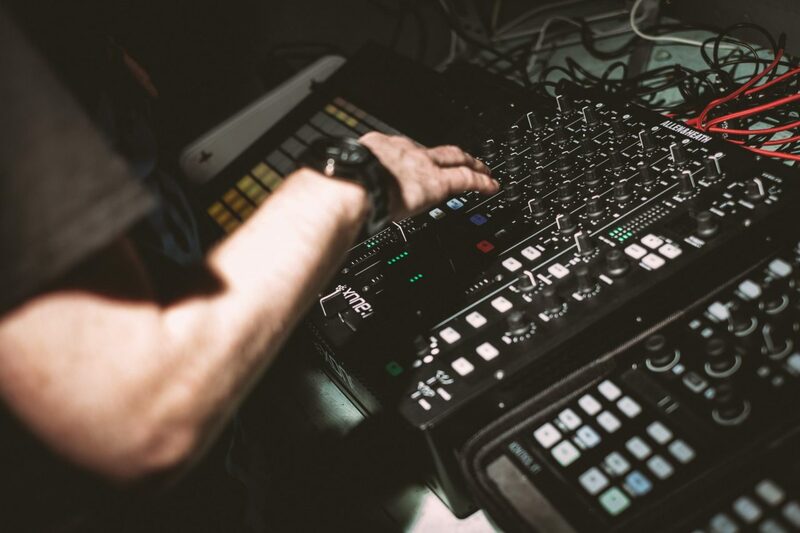 Switching between BEAT, BEND, and MIDI CLOCK modes using the MODE button gives you maximum flexibility with the built in XONE:SYNC clock, whether you’re just using effects or running outboard gear like a drum machine or a friend’s controller. Much like the DJM mixers, the effects can be routed to individual channels, or the master output, but one special thing you can do is routing through the mixer’s send/return loop, which is super fun. Not only does this mean the effects are treated just like an external FX box, but you get that added control of the wet/dry on the channel sends, meaning much more subtlety to how the active effect changes each channel’s audio. The EQs are pretty standard fare for a club mixer. You’ve got a high-frequency, mid-frequency, and low-frequency knob for each channel, each with +6 dB boost. All the EQs have full kill when twisted all the way to the left, including on the AUX channel. Now to the filter. The PX5 comes with pretty standard equipment on a Xone mixer. There’s a single channel-assignable filter, with a choice of high-pass, low-pass, or band pass, or any two active at once. What they have added, though, is the option to route your send/return effects through the filter section, to give it even more versatility. This basically means you can have an external effects unit affect the wet signal of the filter, making for some very interesting creative options. Unfortunately, this won’t work with the internal effects, but even if you have something like the Korg mini KAOSS Pad 2, you can get a lot of bang for your buck and extend the PX5’s capabilities. Outside of the Rane Sixty-Four, I don’t know of any other mixer that does this. That reminds me: we’re still waiting on that Xone effects box, Allen & Heath! Something to go well with the analogue Xone mixers… Even just a Xone-designed box with a reverb, delay, Xone filters, along with a lovely isolator for the master out. The latter would be particularly topical right now. You know you want to. The user experience doesn’t just stop at the gear you buy. Is the packaging pleasing? Information easy to find online? If there’s a problem, is there support? What’s the broader experience for someone who’s bought a product? I’m pretty sure I’ve said it before, but I’ve always been really impressed with Allen & Heath’s manuals for their Xone line. Not only is it comprehensive about the product, but they go above and beyond by explaining the importance of ensuring your audio chain is well managed, and how to avoid clipping. In the past, it’s been far less critical as their mixers were analogue and [mostly] self-explanatory. But when it comes to recent hardware, seriously always RTFM! Beyond the manual, A&H have chucked in a few extra caps for knobs and faders. I didn’t think much of it, but as you will read later in this review, you might need them. There’s also no need for any driver downloads on macOS, and the usual ASIO Windows drivers are standard fare, which is pretty ‘consumer-friendly’. I gave the PX5 a right good thrashing when I took it out for our New Year’s Eve party in Huddersfield. Not only did it serve as my mixer with TRAKTOR PRO 2 and a pair of X1s, it was also the hub for the other two DJs to plug into. It had to be pretty flexible with what was plugged in and out of it, as we have a bit of a Franken-setup. And it performed well! The built-in audio interface meant less cables lying around, and it looked great alongside my pair of X1 mk2s and Push controller. In the dark, I had no problems at all navigating the controls. Everything is laid out logically, and there’s plenty of space around the controls – even with five channels, effects and a filter crammed in there – to not feel like you’re fumbling. It would have been nice to have the rear panel text upside down to make it easier to work out what does what, but my only real complaint regarding usability is that it’d be nice to have a little bit of click to the interval knob. This is something the NI gear does well: coupled with acceleration, you can get some flexible control from a clicking endless encoder. One thing that’s rather concerning is that during normal (though slightly energetic) slamming of a fader, the fader cap flew off. It pinged off my t-shirt, and off into the dark somewhere, and no amount of scrabbling about in the dark with torches in hand could uncover it. It happened again with a second channel fader that I luckily caught in my hand. Luckily, we found it the next day under the amplifier rack, but it might explain the bag of faders and knobs included in the box. I also really missed having real volume control for the AUX channel. I ended up sacrificing a fader channel for Ableton so I didn’t have to worry about it. Running the Kontrol S5 into it was much simpler, but still a hassle to ensure levels were correct. It’d at least be useful to have some sort of clip indication. Maybe an LED that glows green below 0dB, orange when you’re at 0dB and red when you peak over? With the PX5, you get typical Xone audio quality. The channels and outputs run a nice hot signal, and coupled with the filter, makes for some nice sounding audio. I’m a bit dismayed about the filter pop. It’s inconvenient, but not a show-stopper. The Xone:43C also had a dead zone at the far ends of the crossfader, annoyingly. Fortunately, aftermarket parts like the Innofader should fix the problem. First things first… the most important thing about the audio interface inside the PX5 – the thing that will probably make a huge difference to a lot of DJs eyeing it up – is that it’s USB class-compliant. For Windows users, this doesn’t change a whole lot. You still need to install those pesky ASIO drivers to get low latency performance (come on, Microsoft…). But for macOS users, it means proper plug-and-play Core Audio operation. No drivers needed. When I tested out what the audio interface can do, I tried to push it as far as it could go. I set up five stereo outputs running audio at 96 kHz out of Traktor and Ableton Live on my 2015 MacBook Pro and there was trouble. I had to increase the latency to a point I wasn’t comfortable with (2048 samples) before it was reliable. The audio interface was perfectly happy with it all running at 48 kHz with 512 samples, though, which is more than enough for all but the most militant of audiophile DJ. 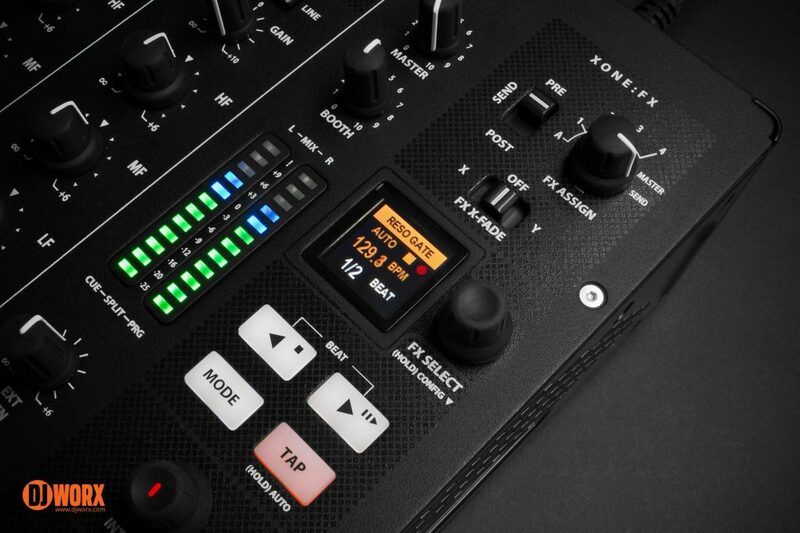 The somewhat surprising good news announced shortly after the mixer became public, that the PX5 would be Traktor Scratch ready, should make it tempting for a fair few people. Plugging the USB cable into a laptop with Traktor Scratch installed means it’s ready to go, with just a set of timecode records or CDs needed to get mixing. I gave it a whirl for half an hour and found no issues with signal stability or latency. You can set up to four channels as DVS, with the routing switch set to USB and either the turntables plugged into the PHONO inputs or CD decks plugged into the LINE inputs. I do find it a bit strange that there’s no Serato DJ support so far… consider that Allen & Heath is quite possibly the second most common club install mixer worldwide, I’m sure there will be a fair few of these floating around for the next few years. The PX5 MIDI clock is pretty easy to set up. I gave it a go slaving Traktor and Ableton, and found it did the trick. You can use either the MIDI DIN connection or USB for incoming or outgoing clock. Your software will detect the PX5 as a MIDI device when it’s plugged in to your laptop via USB. It’s never going to be as elegant as Ableton Link, due to the fact MIDI is such an ancient protocol that has some major features missing that you’d expect, such as quantisation and latency compensation. These are things that you have to adjust manually. 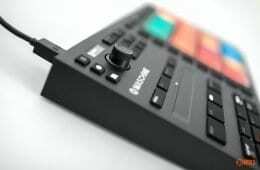 I can see Ableton working on releasing a firmware component to Link, so that connected hardware can play nicely. There isn’t much that I feel is missing or needs fixing on the PX5. Taken at face value as a 4+1 club mixer, it’s clearly solid, and I’ve enjoyed my time with it. It definitely needs so sort of basic level indicator and volume knob for the AUX channel. Maybe some ‘instant gratification’ effects added in a firmware update. Something more for the Xone range in general: I’m still waiting for that 93C. Or even better, a 63C with the 92’s EQs… Having six channels of audio in the new build of mixers, along with 4-band EQ, a 12-in/12-out audio interface, two filters, two effects units, two send/return loops… A guy can dream! I’d also love to see an effects box from Allen & Heath. Something fairly simple that harnesses some of that Xone engineering genius. The 3-band EQ does the job, but personally, I really miss the Xone 4-band EQ. I’ve adapted my mixing style around it so much, it just feels weird not having it when I’m knee-deep in five channels of Traktor loops and Ableton drum sequences. These days, the only time I don’t feel uncomfortable with 3-band is on an all-in-one controller. One last thing — you still get an obvious and audible crackle when activating the channel filter toggle while the filter is set to ON. This has been a problem on Xone mixers since the beginning, and something that should have been fixed by now. Editor’s Note: I asked A&H about this, and due to their classic analogue filter design, seamless switching is hard to achieve. It’s way better than it was, but would require going all digital to eliminate. And you don’t want A&H to go all digital right? Everything is solid, simple and stable, bar the loose fader caps. Effects routing, built-in audio interface, Allen & Heath build quality and that filter. What more could you wish for in a club mixer? Even without dual audio interfaces, you get a lot of bang for your buck at the price point. Allen & Heath are back in the club mixer race with a great attempt at bringing the Pioneer DJ DJM-900NXS2 down a couple of notches, held back by a samey collection of effects and only having one audio interface. Had this come out a couple of years ago, it would have lead the pack. Now, it’s a super-solid club mixer that can easily keep up with the competition. That said, I was very happy with my time spent with the Xone:PX5. After the disappointment I felt while reviewing the 43C, this mixer felt like a return to form for Allen & Heath. From a usability point of view, it’s top notch stuff, whether you’re in your bedroom or in a club environment, and the routing options for effects and audio are so flexible. At the asking price of a tad over a £1,000, there really isn’t more you could wish for. Traktor Scratch ready, Allen & Heath analogue deliciousness and, thanks to the USB class-compliant audio interface, a future-proofed peek into the Xone line. It feels a lot like the company is taking DJ gear seriously again. I’m excited. A club mixer that takes shots at Pioneer DJ, with some great effects routing, Xone audio/build quality.